A whisper of lilac awash with lavish embroidery, this look will stand out from the crowd. Flushed natural skin and delicate waves complement this feminine look. 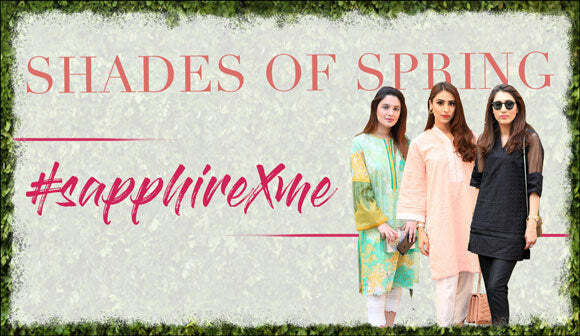 Meant for those who are not afraid to embrace their feminine side- the Sapphire Serene collection is an ode to delicate pastels, fine embroideries and chic prints. Embrace all things ladylike in this dreamy assortment.